The Department of Energy has announced $218 million in funding for 85 QIS projects, while the National Science Foundation has awarded $31 million in funds for multidisciplinary quantum research. Meanwhile, the White House has released the National Strategic Overview for Quantum Information Science and held a QIS summit with those from industry, academia and government agencies to discuss its next steps. All this comes just two weeks after the House of Representatives passed the $1.275bn National Quantum Initiative, a bill which is expected to be approved by the Senate later this year. 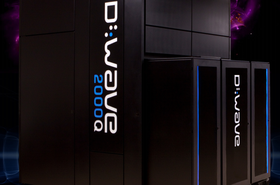 “QIS represents the next frontier in the Information Age,” US Secretary of Energy Rick Perry said in a statement. Three major program offices within the Department’s Office of Science are administering the awards - the Advanced Scientific Computing Research (ASCR), Basic Energy Sciences (BES), and High Energy Physics (HEP). One proposal ASCR is seeking is the ability to "explore of the suitability of various implementations of quantum computing hardware for science applications. This foundational research will facilitate the development of device architectures well-suited for scientific applications of quantum computing and improve our understanding of the advantages and limitations of various approaches to quantum computing for science applications." Lawrence Berkeley National laboratory has a $31m potential award out to build and operate an Advanced Quantum Testbed (AQT), with the testbed to be used to explore superconducting quantum processors. 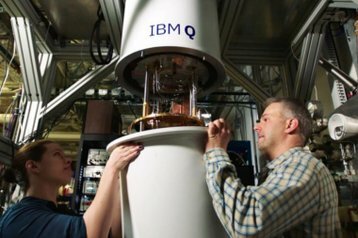 The National Science Foundation's $31 million in awards, meanwhile, aim to provide support for advancing the technology necessary for secure quantum communications, establishing the first-ever fully connected, practical quantum computer, and help train the next generation of quantum scientists, engineers and entrepreneurs. 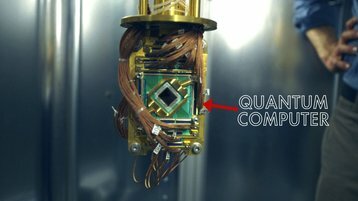 The government agency has split its funds across two efforts - $25 million for exploratory quantum research as part of the Research Advanced by Interdisciplinary Science and Engineering (RAISE)-Transformational Advances in Quantum Systems (TAQS) effort, and $6 million for quantum research and technology development as part of the RAISE-Engineering Quantum Integrated Platforms for Quantum Communication (EQuIP) effort. "The quantum revolution is about expanding the definition of what's possible for the technology of tomorrow," NSF director France Córdova said. "NSF-supported researchers are working to deepen our understanding of quantum mechanics and apply that knowledge to create world-changing applications. These new investments will position the US to be a global leader in quantum research and development and help train the next generation of quantum researchers." To underscore the importance of QIS, the US government this week released the National Strategic Overview for Quantum Information Science, viewable in full here. "Long-running US Government investments in QIS and more recent industry involvement have transformed this scientific field into a nascent pillar of the American research and development enterprise," the document states. "The Trump administration is committed to maintaining and expanding American leadership in QIS to enable future long-term benefits from, and protection of, the science and technology created through this research." 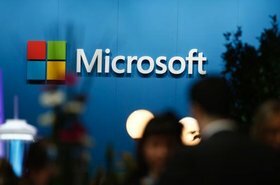 The strategic overview makes numerous references to the necessity of public-private partnerships, a factor highlighted by a White House Office of Science and Technology Policy meeting held on Monday, attended by Google, IBM and Intel - some of the biggest names in quantum computing. Google has a 72 quantum bit (qubit) system known as Bristlecone, IBM has a 50 qubit system and Intel a 49 qubit one (although it should be noted that not all qubits are the same). Others in attendance included JP Morgan Chase, Honeywell International, Lockheed Martin, Goldman Sachs, AT&T and Northrop Grumman. “When it comes to quantum computing, we are in mile one of a marathon," Dr Jim Clarke, Intel’s director of quantum hardware said. While research is underway across the globe, and the strategic overview notes that "humanity’s combined effort may be necessary to tackle the challenge," national concern is focused on the efforts of China. 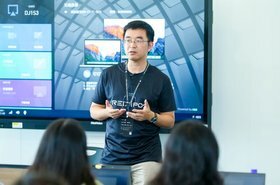 At a time of increased tension, much has been made of China's significant investments in the field of quantum computing - especially as quantum systems may be able to crack conventional cryptography used by businesses and governments alike, and would be able to engage in communications that are unhackable by current systems. China's total investment in QIS is unknown, with funding coming from different bodies and going to disparate initiatives. But is is known that the nation plans to build a $10 billion National Laboratory for Quantum Information Sciences in Hefei, Anhui province, set to open in 2020. It will be the world's largest such facility. One of the researchers involved in the national laboratory is Pan Jianwei, who was behind China's experimental quantum communications satellite. “The Edward Snowden case has told us that the information in the transmission networks are exposed to risks of being monitored and being attacked by hackers,” Pan said at the time. Now, it appears the US is trying to change that, pushing forward with the National Quantum Initiative, a 10 year plan to accelerate development of quantum information science and technology applications in the United States.